When it comes to food & drink, you could say that we are located in a gastronomic paradise. Sardinia’s cheeses, Liguria’s pesto, Corsica’s cured meats, to name a few, are the treats of every day. Over the years we’ve discovered and befriended a multitude of small and unique food artisans, who in turn have opened their local, private kitchens to us. 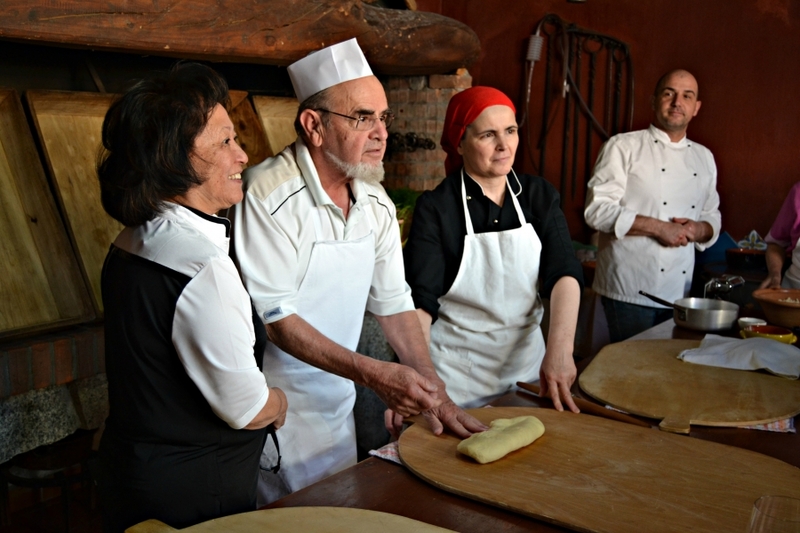 From ravioli making sessions, demonstrating culinary skills passed down from generations, to a stroll through a rolling vineyard with the actual winemaker and his family. We continually strive to provide unique and intimate food and wine experiences throughout our tours. We also encourage our clients to share with us their own ideas or wishes, so that we can try and include it in their itinerary. For those who wish to follow a more traditional plan, we have a food and wine tour of Sardinia, which has been enjoyed for many years. A driver chauffeurs you across the countryside, sampling at various wineries, then safely transports you to the next hotel on the tour. Sardinia is known for being home of some of the oldest men and women in the world. Known as a Blue Zone these areas often produce residents, who reach and surpass one hundred years of age, which the locals attribute to a combination of factors such as food, strong family-ties, genetics and yes, even the wine. We like following this wise path and the local experts are always happy to discuss this with you. JOIN A CURRENT TOUR OR HAVE MOTUS CUSTOM-DESIGN ONE FOR YOU!